Constance is happy, energetic and full of life! She a great petite size and loves to snuggle! 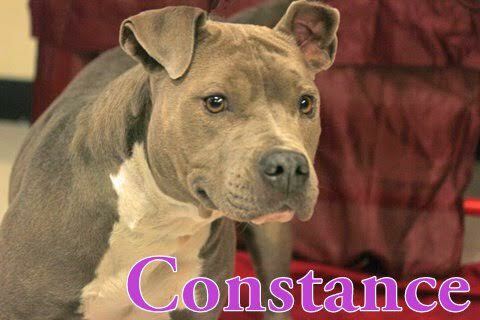 Constance is sensitive soul with a striking look that turns heads for miles. She has enjoyed hanging out with other dogs and is currently in a foster home with a kitty, and does great with everyone. She is working on her leash manners, as Constance gets very excited when she sees her doggie friends. Constance still learning how to be a good dog but I’m so glad Angels Four Paws rescued me. I’ve had somewhat a bumpy road but I’m so ready for this next chapter with my forever family that will love me forever and ever. My foster mom says I deserve a soft comfy bed to lay in for the rest of my life. Do you have that soft comfy bed for me? I promise I will love you for forever! Constance is ready for her forever family and hoping it's you! Even though I am are currently in HOUSTON TEXAS. It will only take a few hours and we can be together as a family. For adoption information on Constance, please contact Barbara with Angel4Paws at wingsforpaws@gmail.com or 832-335-9121. The adoption fee is $700.00 which includes all vetting, and a special travel crate because of the requirement of United Airlines, Health Certificate and transportation on United Airlines Pet Safe program.